I heard the name Buck mentioned a few times. Who is he? Please name these legends ! Well, I feel like a rung out rag after listening to the commentary tonight. The commentary was brilliant . . . . . I really felt the excitement and tension through their description. If there is anything worse than watching a penalty shootout it must be listening to it on the commentary !!!! 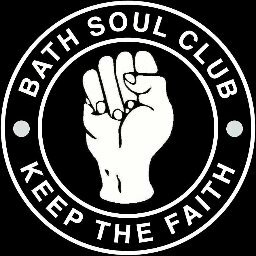 I am thrilled that Bath City are through to the next round, but my heart goes out to players and fans who have travelled all that way and (due to the delayed start) will not be home until goodness-knows-what time. Safe journey home to everyone. The graphics on Bet 365 showed each penalty as it was scored or missed before Mark or Bob could comment, got to love technology. There were a lot, maybe a dozen or more when I viewed the map earlier this evening, of incidents and roadworks on the M2 which caused the hold ups. I haven’t, and won’t, commentate on that many near misses again. It was extraordinary. Admittedly we rode our luck at times but over two ties there wasn’t much in it, and would have felt absolutely sick had we exited after all that. The one thing which helped, I think, was that their keeper, as good as he was, didn’t have much presence. The goal looked massive. Brilliant comment about an eleventh hour victory. Midsomer-chris wrote: Well, I feel like a rung out rag after listening to the commentary tonight. The commentary was brilliant . . . . . I really felt the excitement and tension through their description. If there is anything worse than watching a penalty shootout it must be listening to it on the commentary !!!! Thanks. I probably didn't help matters by sounding completely pessimistic over all our players stepping forward, to the point that even when they missed their sixth I didn't break into any emotion. We had over 400 unique listeners which is really pleasing. Are you finally back home, Junior, or posting that from the M2? Rolled through the front door soon after England lost their final wicket, around 5.30am. Asking for two sporting miracles within 12 hours was too much. https://soundcloud.com/bath-city-internet-radio/margate-away that's the audio highlights from the game. Very long, for obvious reasons. First time I've ever listened to part of a City match in bed! A rare chance to me to listen to the radio coverage as I'm usually at the games but was really impressed. 1. Who is the new signing he's working on for Saturday? 2. When will the club shop start selling the really smart hooded gillet he was wearing? Put me down for one! Just wanted to echo what others have said about how good the commentary was (even though I had to go out at the end of extra time so followed the shoot-out on Twitter!) - Mark and Bob almost made me feel as though I was there. Thanks guys. You put a night out clubbing in Trowbridge before your club? comrade powell wrote: You put a night out clubbing in Trowbridge before your club? Yes....the badgers digging up my garden!